Sakura-Con 2014: ANNOUNCEMENTS & NEW LICENSES! So we promised some major announcements today at Sakura-Con 2014, and call me biased, but I think we delivered!  As if our digital initiatives weren’t exciting enough, we’re delighted and excited to announce Yen On, a new imprint and program dedicated to bringing you fans English editions of the best light novels that Japan has to offer! We’re already a powerhouse when it comes to getting light novels out there, but now we’re going to build on the successes of hits like The Melancholy of Haruhi Suzumiya and Spice & Wolf, and the upcoming blockbusters, Sword Art Online and Accel World, and bring you even more! 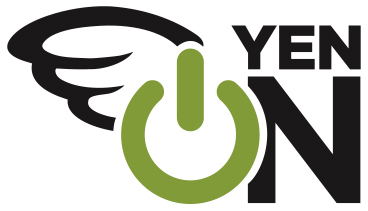 Look for Yen On to launch this fall! But of course, to launch a new imprint, you need new titles, right?! Well, let’s see what you think of these! ANOTHER by Yukito Ayatsuji – Not technically new or a light novel (you might see more of that! ), but before and since publishing this deliciously spine-chilling horror tale digitally last year, we’ve gotten tons of requests for a print release. Well, we’re happy to say your prayers have been answered! Look for the hardcover omnibus print edition of ANOTHER hitting bookstores this October as part of the Yen On launch! A CERTAIN MAGICAL INDEX by Kazuma Kamachi, art by Kiyotaka Haimura – I can’t tell you how thrilled we are to finally be bringing A CERTAIN MAGICAL INDEX to you guys! One of the most popular and acclaimed light novel series in Japan, INDEX is also one of our most requested titles! This winter, science and magic clash in Academy City, when one unlucky young man finds a mysterious nun in his room and gets landed in the middle of a war he never expected! IS IT WRONG TO TRY TO PICK UP GIRLS IN A DUNGEON? by Fujino Omori, art by Suzuhito Yasuda – Like that title alone isn’t reason enough to check out this new breakout light novel series! Also known as DanMachi, Fujino Omori’s hilarious fantasy tale about a fateful encounter in the labyrinthine Dungeon between a hapless boy who wants to make a name for himself as an adventurer and a failed goddess rounds out the Yen On launch list this winter! Whew! And that does it for our Sakura-Con announcements…PSYCH! KING OF EDEN by Takashi Nagasaki, art by SangCheol Lee – Maybe you’re not familiar with the name Takashi Nagasaki, but you sure should be! Nagasaki, the critically acclaimed co-author of Monster, 20th Century Boys, Master Keaton, Billy Bat, and Pluto, pens a grotesque thriller that will leave you begging for more! Starting May 1, digital chapters will be simultaneously published worldwide! PandoraHearts ~odds and ends~ by Jun Mochizuki – If you love the cracking mind-warp that is PandoraHearts, you won’t want to miss this art book! Lavishly presented in hardback with a slipcase, Mochizuki’s darkly whimsical world comes to vivid life in this collection of over 120 color and black-and-white illustrations from PandoraHearts, Crimson-Shell, and more! Look for it in November 2014! GOU-DERE SORA NAGIHARA by Suu Minazuki – No Yen list would be complete without a little raunch, am I right? In this hilarious fantasy romp out in November 2014, Shouta Yamakawa, a boy in love with his favorite demure manga heroine, Sora Nagihara, casually wishes she could be real…only to find himself staring into her eyes?! But Shouta soon realizes he got more than he bargained for ’cos this Sora turns out to be one bold, brazen babe! LOVE AT FOURTEEN by Fuka Mizutani – Serialized in Hakusensha’s wonderful Rakuen Le Paradis anthology, LOVE AT FOURTEEN is a charming, bittersweet slice-of-life story about two very mature students in junior high falling in love like the teenagers they are. If you have a soft spot for subtle (not to mention adorable) romance, you’re going to have to read this in November 2014! THE ANGEL OF ELHAMBURG by Aki – In this beautiful standalone volume, a close friendship between a king blessed by a strange angel and his knight begins to crumble under the weight of jealousy and contempt when a woman, and soon her child, comes between them. We love Aki with a burning passion here at Yen, so we’re beyond excited to be adding the gorgeousness of THE ANGEL OF ELHAMBURG to our Spring 2015 list! Well, that really does do it for our Sakura-Con 2014 announcements! We’ll be sure to bring you more awesome next year! If you’re at the con, do come by and say hello! We always love to meet our fans! Fantastic set of announcements there guys. Will definitely be Picking up Index and Dungeon. Hope we can see the manga versions in the future as well. I love you, Yen Press. Never disappoints. Thank you for Index, will be buying it when it comes for sure. (had also bought Another digitally). Accel world and SAO as well. Definitely looking forward to all three novels/series, as well as the PandoraHearts art book and The Angel of Elhamburg. I’m really excited for the new light novel imprint, I hope it does well! You have my full support! Index at last! Hardcover for Another! And even a totally new light novel series? Gou-Dere, Love at Fourteen and the Angel of Elhamburg sound like my kind of manga too. Any chance of getting the side stories for Book Girl or the High School DxD light novels too? Oh, since you’re getting Index, that means Railgun in the future too right? Ah, I’m going to need an extra job just to pay for Yen Press releases! I friggin’ LOVE YOU <3~~. I'll also get the Pandora Hearts art book~~. (If you are interested in more art books, will you consider picking up Hotaru Odagiri's Uraboku artbook, PHOSPHOR? /I found out about it through amazon. Speaking of Uraboku, will you be translating the one-volume side story? While I will definitely support Index and probably half the other things you licensed I’m honestly a bit concerned. Index is really freaking long and still ongoing. Never the less I’ll support it so long as you keep publishing it. What if you did what tokyopop couldn’t and Translate the entire Slayers series? I would like to say this is probably one of the most exciting announcements i have seen i will definitely buy all the light novels as well as Gou-Dere. This has made me incredibly happy thank you. Definitely looking forward to more Light Novels! Especially Index. This is awesome news. Here’s hoping for a simultaneous print and digital release. Here are some more Light Novel Suggestions! -Black Bullet(?????????) by Shiden Kanzaki and Saki Ukai. I look especially forward to getting my copy of SAO soon. Thanks Yen! awesome news I will be buying Index for sure and of course Another too,I will like you guys to license Hakomari,The irregular at magic high school and No Game, No Life light novels but in the meantime thnx for those titles. This is amazing news. Yen Press you are an angel to light novel loving fans. Everyone make sure to prepare your wallets and support this movement so we can continue to this this great format continue to thrive! Will probably pick up the SAO novels and maybe one day when i finally get around to watching index i will be interested in those novels too. If I can make one request…. HYOUKA light novels!!! But yeah. All for the increase in light novels, GREAT JOB YEN PRESS!!! Also going to pick up those light novels and Angel of Elhamburg. Love Aki’s stuff too! I hope the new imprint does well! Perhaps you guys could consider Durarara and Baccano light novels next? I’m looking forward to Love at Fourteen. Thanks for the unusual surprise, I really didn’t expect that! Going to pre-order Another, Index, and Gou-dere as soon as Right Stuf is given the information in the coming months! Also have more than a few questions regarding all these new licenses. Any chance of seeing Another: Episode S? Do you have any plans for licensing more of the Index novel/manga franchise, and possibly Railgun novels? I know Seven Seas has the Railgun manga, but there are numerous other in-canon side stories that I would enjoy purchasing to add to my Raildex collection. Any chance licensing Suu Minazuki’s Sora no Otoshimono (Heaven’s Lost Property)? The manga ended in Japan with 20 volumes. Would like to have the series in English after importing the all of the Japanese releases just the other day. Definitely excited about Index and the hardcover edition of Another. Forgot to add that licensing some NisiOisiN LN series would be truly appreciated. I have been tempted to import the current 17 LNs available in the Monogatari series, but I would like to actually be able to read them. Oda nobuna no yabou (The ambition of oda nobuna), Durarara,Date a live, Utsuro no Hako to Zero no Maria (The Empty Box and The Zeroth Maria), Kagerou days, Hataraku maou sama (Devil is a part timer?) and also My Youth Romantic Comedy Is Wrong As I Expected. ..Also, I was so excited about the artbook that I somehow completely forgot to comment on the amazingness of the new light novel imprint announcement, too!! Wow!!! If you guys could possibly get the Pandora Hearts, Baccano!, Durarara! !, and/or the rest of the unpublished Zaregoto series’ LN’s at some point, that would be mind-blowingly awesome. Or even just the Koten-bu series (a.k.a. Hyouka), or the single standalone Occultic;Nine novel would be great, too. I’m just so happy that more and more LN’s are going to be published here (and by you guys, no less, who always have fantastic releases). Yen is my top-favorite publisher for sure!! So excited for A certain magical index ive been waiting so long for you guys to pick it up! Already picking up SAO and planning to get Accel World. You guys rock!! Been waiting for a print release of Another!! I agree that Mahouka Kouko no Rettousei(LN) should be considered!! And why not bring Sekirei!! Whoohoo! Thank you so much! I love how Yen Press isn’t afraid to publish light novels and your packaging of everything is so great. Can’t wait to buy Another in print (so so glad), not to mention Index (though 22 vols makes me nervous, will you really translate all of it I wonder…). Can’t wait to see what other light novels you publish (so excited), I think the only thing that could make me more excited is if you published the other series by the author of book girl, Hikaru ga Chikyuu ni Itakoro…… But that is a foolish dream of mine. Anyway, Pandora Hearts art book, awesomeness right there. It’s probably my biggest pipe dream ever, but I would love to see the Mirage of Blaze novels or even just the manga translated. And yes, it’s 40 volumes long. But unlike the Index series it is also complete. (As I said though, it’s probably never gonna happen). @Nate W.: Railgun’s a manga series, not novel if I’m reading what you seem to think from your post right. What Seven Seas has licensed isn’t an adaption in the sense of say Haruhi or Spice and Wolf manga, but the actual source material. Awesome about Another, Index and Dungeon(which i had planned to import from japan just for the Yasuda art, but now i don’t need to, so thanks for that). Still waiting for the Durarara!! though…(13 volumes and complete, with the sequel series DRRR SH only having one volume so far). on a lighter note though, when is the first Index novel release estimated to be? It’s too early to call yourself a powerhouse. Thank you so much for the licenses & for not giving up on the light novel market 🙂 I hope Yen On enjoys many many years of success! All the novels are an instant buy for me (obviously ;P) as well as 14 year love, the Pandora Hearts artbook, & the Aki manga. Ah more of the “seinen” novels out there. Nothing for ME to get excited about. Looking forward to Love at 14(very sweet and worth the read); was a nice and unexpected announcement. Huge thanks for a print version of Another, Index and Gou-dere, looking forward to the release dates. If you could ever do Hidan no Aria, Shana, Mondaijitachi, Date a Live light novels then that would be godly. I can’t wait for the Takashi Nagasaki thing. I wish there was more info on the project, like a story synopsis. Oh well, I can be patient until May 1st. OMG WHAT NO WAY THE PANDORA HEARTS ARTBOOK!!?? 😀 thank you thank you thank you!!!!!!!! I can’t wait till get these new release it stores. I love the light novels that are going to be release and also the pandora hearts art book!! I did not expect this; LN’s are quite expensive to translate (just compare the amount of text in one compared to a manga), so I’m a little surprised at spinning them off under their own imprint. I guess that’ll help clarify which version is the LN and which is the manga, at least. I’m also assuming you’ve hired/contracted someone new to help with translations, congratulations to them! If I had to guess, I’d say YP’s going to see how the Index sales match up with projections, and then MAYBE chance DRRR or NisiOisin. I’m just happy YP’s current LN’s are apparently doing fairly well. I have been praying for more light novels to be licensed. Thank you for answering them. I look forward to other titles you may pick up. So how fast can I get the entire Index series including NT into my hands? Great licenses, definitely getting all the ln and most of the manga. Please pick up Sekirei, High School Dxd ln and also if you can the Samurai Girls ln. Hey, so if Nagaru Tanigawa ever gets his act together and releases the next Haruhi novel, any chance of a simultaneous release with Japan? Would you already have the license to it or will that be something new you would need to acquire? I’m also really excited about the Pandora Hearts Odds & Ends art book; I’ve wanted this book for a long time and I’m so glad you are publishing it. Thank-you so much; Pandora Hearts is one of my favorite series. I hope you don’t mind if I mention some manga I would like you to consider. I know you probably get thousands of requests all the time, so I hope I’m not bothering you too much. Thank-you for listening and sorry for bothering you. @JAM – Thanks for your license recs! Since you’re requesting an Aki series, I hope you’ll pick up Aki’s The Angel of Elhamburg, which we’ll be releasing next spring! You won’t be disappointed, promise! Do you have any idea of a release schedule for Index? I imagine it’ll be slightly quicker than manga, especially after noting the speed of translation releases by fans of the Index novels online. Sadly, however, I doubt you’ll move too quickly, and I’ll be left jobless and without many after buying a mere few. I already pre-ordered SAO and AW, I didn’t expect an even better Novel so soon :3. I’ll pre-order it as soon as it show up on the french amazon :). I belive I’ve already thanked you some times, but it will never be enough! You bring us not only the best manga, but also the best light novels and the best manhwa/manhua. As a consumer, I might not totally understand the difficulties you have to go through to bring us those titles who might not sell as much as we wanted to. However, you have the courage to believe in them and present your consumers with them! Years ago, manga didn’t sell as well… and look at manga now! You’re starting a new step on industry. Light Novels will sell – I believe that. Having that said, let me be that person who asks for the series he wants the most. Hey, I know it can be annoying, but your requests are also a important part on the business, right? That way, you know what we want… I hope. Wolf Children’s manga version sold well, right? What about the 1-volume light novel?. I’m sorry for being a pain in the […] and thank you so much for everything! Please, publish the Durarara!! light novels!!!!! I really hope you can publish Is this a zombie LN, Hidan no aria and My teen romantic comedy SNAFU Light novels? OMg Index, impressive, awesome, finally. Its great to know you read fans opinions about what to release. Both Another and Index are wonderful news. I agree with the ones asking for Hyouka and My teen romantic comedy light novels, ill add Bakemonogatari as well. :D. Really ty! Wow, I’m so happy that Yen On is coming!!!! I normally read my light novels online from the fan translators, but they don’t do the series very much justice. I can’t wait to see Index in print! The Devil is a Part Timer, My Teen Romantic Comedy, and My Little Sister Can’t Be This Cute are great novels too! Also, I was curious if Yen Press was planning to translate Sword Art Online Progressive and New Testament (Index Sequel). I know the fan translation community has been fumbling all over this because they don’t want to overlap with your licenses, but I’d really like to read these too! Love it. Will be buying Accel World, and I might pick up Another as well. Are SAO and AW also going to be included in the Yen On imprint? Listen to the mass opinion here and licence the Durarara light novels, please!!! Please also consider Mahouka Koukou no Rettousei, the light novel series. Thanks Yen Press. I’ll be emptying my wallet on all the light novels! Also, a few recommendations that WILL sell: Durara! (Light Novel), Mahouka Koukou no Rettousei (Light Novel), if you can save Aria the Scarlett Ammo from the company that publishes it in ebook (Light Novel), and (if you’re not already doing so) the SAO Progressive (Light Novel). If you do these I (and many other people) will be emptying our wallets out more! As long as these are in print physical books and not digital at all, this could be a good announcement. and no game no life!!!! seriously you guys are awesome !!!! @ [email protected]: the Railgun light novels, not the manga. Also, Seven Seas is a cancel-happy company that I’ve wasted far too much money on for me want them to license anything. With a VERY few exceptions, I stay away from their releases entirely. Heck, even though I’m only buying like 3 titles from them, they seem to have cancelled one of them on me yet again. Love the new releases! I love light novels do i am so happy that yen press is releasing them. I hope yen press will release other light novels like brothers conflict, anohana the flower we saw that day and red data girl. Thanks yen press for all the great stuff. OMG! Yes! Will definitely buy Index! And if it’s not too much to suggest other LNs, I hope you can give these other titles some consideration! 5. Yahari Ore no Seishun Love Come wa Machigatteiru. Thanks for Index and Eden! You are awesome! Next time you select novels, please consider Log Horizon, which aired just last season, and No Game No Life, which airs right now. Why do You say Kagerou is not likely? I’m so excited that you guys got Index I have been waiting for that. I would also really love it if you could pick up Densetsu no Y?sha no Densetsu(The Legend of the Legendary Heroes). Right Stuf is having a YP sale! Time to load up on pre-orders again. @ Richard J.: But Railgun has no light novels last I checked. Something that does not exist cannot exist, so thus asking for it is futile. Ok, I actually went and checked and the only information for Railgun novels I can find is 2 different side story (I tink) things included with the Index and Index II Limited Edition Blu-ray/DVD singles in Japan. So unless Japan ever releases those standalone, I don’t think Yen Press really has the ability to get them. Fantastic news! I love Index and Railgun and am incredibly happy to hear this! Brandon in the comments recommended licensing Shiki, and I fully agree. I’d immediately buy both Index and Shiki if they were made available. I’ve recently started collecting manga after enjoying shows like Attack on Titan, Railgun, Index, Azumanga, and to be able to own volumes of Index and ,hopefully Shiki, would be incredible. Thanks! Oh my I have just read the news that Pandora Hearts is going to end in 23th volume so please please, can you speed releasing 3 last volumes?? Please please please go for Horizon in the Middle of Nowhere and Highschool DxD now. Next time please get Kagerou Days and Horimiya! Super happy with this list especially the pandora hearts art book. I hope you will do the other higurashi manga too. Dice killing arc and the other spin off I mean. I noticed on your New Releases page, in July Soul Eater NOT! Vol.3 comes out and it`s not there. however; many of us are worried about the rate of release. we estimate this rate to be 3-4 months per volume. Many of us wish to purchase all 30 volumes at once while at the same time still keep up with the current story which we estimate will take at least 10 years to be released for index, and 4-5 years for Sword Art Online. I understand that there are complications beyond the actual 2-3 weeks required for translating and editing, so I humbly request if we can stick with 3 months per release, as I am also aware of a lot of previous negative feedback about the rate from spice and wolf series. YES!!!! Not only Index, but a LN i’ve never heard of before!? I’m so excited! Thank you so much for all the LN goodness you guys have brought over here! Love your work, but would like Highschool DxD, hataraku Maou-sama and Problem children are coming from another world, aren’t they? light novels added to your publishing list. suggestion: chaika-the coffin princess the light novel~! Woo, now release Index on the Kindle store and I’ll throw money at you, otherwise my wallet remains closed. have you ever considered webtoon manhwa ? I love that you’re picking up light novels now. One that I have always wanted to read ever since I read the manga was Hakushaku to Yousei (Earl and Fairy) and would love to see this novel in English! Please pick up the rights, for shakugan no shana, it’s my favorite anime series, and I really want to read the books. I will buy every light novel you have translated (even though I’m not very interested in most of them) if you translate shana. Pretty please. Really wish they’d release Durarara! light novels…the manga/anime is good! Please release the ‘Is This A Zombie?’ LNs too! I’d like to second Shoo-chan for bringing Coffin Princess Chaika across. As a fan of the manga version I’d love to get my hands on either in English. Ah, continuing from my previous comment, I take it then than YP is interested in Aki’s works? It would be a dream come true if I can read all of Aki’s works in English! 1) “Durarara! !” LN – As shown by previous commenters, there’s a demand for this series + a second season was recently announced to be in the making. 2) any shoujo LN – I feel that there’s a lack shoujo-like LN by YP (Spice and Wolf doesn’t really count, IMO). I want YP to consider publishing a few titles like it. However, the reason I didn’t specify any title is because the ones that I am familiar with have numerous volumes so I’m not sure if they’ll sell well :/ But I’m willing to try any that YP decides to publish. 3) “Baku” by Bikke – I love Bikke’s works and I would like to read at least one of her series in English. This one is already completed at 4 volumes. She also has an amazing ongoing series “Ame Nochi Hare” (the French title is “Rendez-vous sous la pluie”) that I would like to be licensed as well. However I understand if the subject matter is too risky for the US market. 4) “Kurenai Ouji” by Souta Kuwahara – it’s still ongoing at 15 volumes, but since it’s also published by Square Enix, I figured it wouldn’t hurt to suggest it. Please licence the best LN forever!! I was THIS close to buying an imported copy of Pandora Hearts artbook but now there’s no need! Thank you so much Yen Press, I’m looking forward to everything else as well. @[ ] I see what you did there. I too would also love it if you guys could pick up “No Game No Life”. As many others I would also like to ask for the light novel “No Game No Life”. Oh and thanks for bringing us the Index series here. Please save +Anima ;w; I would like to collect every volume but thanks to tokyopop the volumes are more expensive than gold nowadays. As for LNs. I certainly second DRRR or ANY Narita work!! That man is the master of words and stories. ¤ Kino no Tabi – it may not be as adventurous as SAO, but it has a certain charm and lessons. It was discontinued due to Tokyopop editing the first volume. ¤ Slayers – Cult series so…? Once again the novels were butchered by Tokyopop’s translators thinking they’re translating novels for idiots. I would like to see this as omnibus. AND THE .hack NOVELS. Ever olume of them has a really half-assed translation, bunch of errors what makes them equal to a sloppy children novel. It would be great to see them available(!) with good translation. It’s like SAO for those who are not interested in Kirito’s growing harem. It would be absolutely amazing to see some light novel series that Tokyopop dropped get picked up by you all here at Yen Press. Oh, and I would wet myself a little if you licensed Kaoru Mori’s “Emma” and reprinted it in a hardback like “A Bride’s Story”. I can dream, can’t I? I would still like to see the nichijou, brynhildr and elfen lied manga’s being licensed. That would be awesome. And for light novels oreimo, tokyo ravens and shakugan no shana. Especially shana since it was dropped by viz. I’m excited for INDEX, but I would be even more If you guys would release the light novels of “Usotsuki Mii-kun to Kowareta Maa-chan”, also known as “Lying Mii-kun and Broken Maa-chan”, a light novel that has suspense, romance and mistery. If you would consider releasing this, I would love you guys! You guys are trying to drain what little cash i have at hand don’t you. I’ma have to start saving up to buy every index volume; and there are 22 of em, jeeze cup ramen for me. Glad you licensed Index, will be buying every book 😛 Two more suggestions for future licenses: Log Horizon and Hataraku Maou sama. Among all the suggestions thrown in here for potential future licensing, I thought I’d add one more: Scrapped Princess. I was extremely sad when Tokyopop discounted their LN line, leaving the series at only 3 volumes translated. I’d really like to see this LN continued. 1.- Biblia Koshodou no Jiken-Techou. The best seller on Japan for the first part of this year by Volume. 2.- Monogatari series. This title doesn’t need any presentation… please end our suffering. 3.- Utsuro no Hako to Zero no Maria. Ranked #8 on myanimelist.net(http://myanimelist.net/manga/55215/Utsuro_no_Hako_to_Zero_no_Maria) Is considered the best light novel of all times, and while this is only a popular opinion, I read the first Volume and I can see a big market on America for this Title, and the quality of the work can’t be deny. Thank you for taking the time for read this lines and for your hard work, please keep printing this amazing novels, I’ll sure keep an eye on your future announcements! Thank You Very Much For Pandora Hearts And Another. You guys seriously need to license the Durarara!! light novels. I’m getting irritated, now. People have been asking for them since you licensed the crappy manga, but you just won’t seem to do it. ._. Also, you guys should license Tokyo Ravens. Don’t anyone forget Black Bullet!!! Oh. I didn’t know there was one, actually XD. Sorry. /I’ve never read the series. I just bought Another off of Chapters.Indigo.ca. The artwork is AMAZING!!! Would you ever license the Higurashi or Umineko Light Novels? On the topic of recommendations, Rose Guns Days, Bakemonogatari, Baccano, and Humanity had Declined all come highly recommended. I know you are not a Boy´s love publisher per se but I would love to see some Bl title in your next announcement. If you choose a good one for sure will sell well. Thank you very much for The Betrayal knows my name and the final volume of Tale of the waning moon. Since you’re getting Gou-Dere Sora Nagihara there any chance of getting Sora no Otoshimono? If it is possible how about Aki’s Aruosumente..? Thank you so much!! I hope you will consider licensing Aki’s Aruosumente. Since you got the license for Gou-Dere Sora Nagihara I’m assuming you’ll eventually pick up Sora no Otoshimono? If you do that’d be great since Sora no Otoshimono is one of my favorite manga’s ever. I’m looking forward to most of these series and will definitely pick them up. Yess ??? and you guys should sell Mahouka Koukou No Rettousei & No Game No life light novels. You’re definitely going to get a lot of fans. Since the anime Durarara (DRRR) is so popular and the Season 2 is coming out soon after so many years can we please get the Light Novels printed? The manga releases are just too slow and not as detailed. I’m late to comment, but congrats on the LN imprint! I hope the first titles do really well and the line expands. I’ll throw in my votes as well for future licenses: Durarara and ToraDora. And for manga: Horimiya and Kimi to Boku. Thanks for getting the Pandora Hearts artbook, too! Please license the Mahouka Koukou no Rettousei light novels. Oh, and Gekkan Shojo Nozaki-kun is another title high on my manga wish list. Please rescue the Pita-Ten novels from Seven Seas! I loved them but they stopped publishing them after the first two volumes. 🙁 I would also like to see the Maria-sama ga Miteru novels licensed. Gou-Dere is an AMAZING manga. Kamijo instead of the correct Japanese spelling Touma Kamijo. 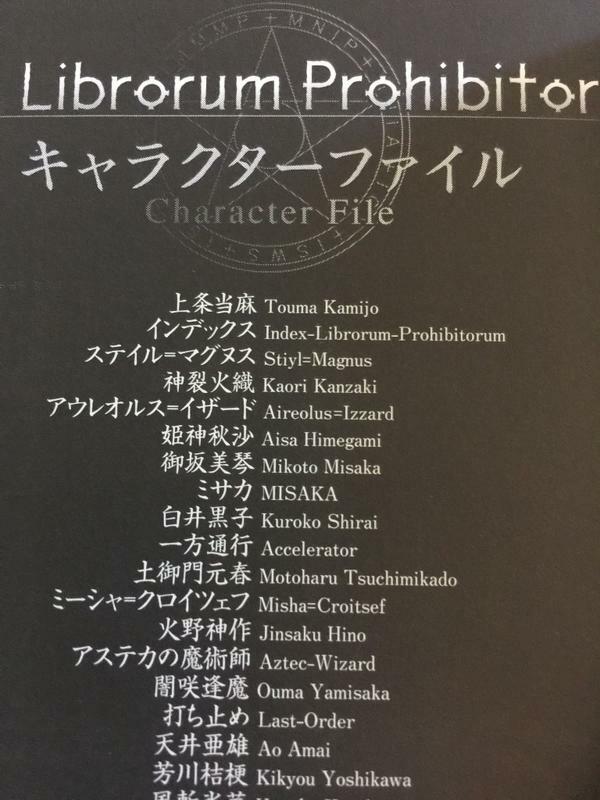 Even the official guide Toaru Majutsu no Index no Subete shows Touma instead of Toma as correct romanization. Please license the Mahouka Koukou no Rettousei light novels. Thanks. I’d really like to read Hakushaku to Yousei! It’s long but so gooood. Please license Yoshiki Tanaka’s award winning light novel series Legend of the Galactic Heroes. So looking fowrrad to reading this, and Stories from TQW. I have just bought the Kindle version: the cover has a blurb by Alastair Reynolds (not shown on the cover thumbnail on Amazon.com, so it could be just on the ebook) … where Mr Reynolds’ first name is spelt incorrectly.